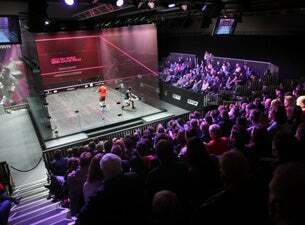 The World's great squash players will come together for the ATCO World Series Finals at the Queen's Club in early January. For the first time, featuring both the top 8 Men and top eight Women from the World Series Standings this exciting event will kick off the New Year in style from 4-8 January. PSA World no.1 Nick Matthew will face fierce competition from arch rival Ramy Ashour, inform James Willstrop & Greg Gaultier, not to mention the mercurial talents of four-time World Champion Amr Shabana. In the Women's event, Malaysian maestro Nicol David will look to add to the long list of titles to her name, but will have to be on her game having been beaten by both Laura Massaro & Kasey Brown this year, while World no.2 Jenny Duncalf will be looking for revenge after losing out in the World Open final.